There is no other herb known to work with such a wide range of healing capabilities. Nigella Sativa is commonly known as Black Seed or Black Cumin Seed. In Arabic countries, it is Habbat-as-Sawda or Habbat ul barakah (the Blessed Seed). It is Schwarzkummel in Germany and Cörek Otu in Turkey. Other names are Black caraway, Black sesame, and Roman coriander. It is often called Black Onion Seed because of its similarity in appearance to onion seed but the two share no relation to each other. Black seed benefits are second to none as you’ll see. Nigella sativa is well known for its healing properties for thousands of years. The earliest record of it dates back more than 3300 years ago to the days of the Egyptian pharaohs. They believed the seed was a cure-all and essential enough to accompany them in the after-life. WHAT ARE THE NUTRITIONAL BENEFITS OF BLACK SEED OIL? The black seed and the oil derived from it are considered to be functional foods. It is safe enough to use as a home remedy for promoting good natural health and preventing disease. It is powerful enough to treat almost all the chronic diseases affecting millions worldwide. No wonder is described as a miracle herb. The nutritional profile of the black seed is quite wonderful in its complexity. More than 100 different substances are identified thus far. It is likely there are still more to get discovered. Black seed oil is a rich source of essential fatty acids, tocopherols, and phytosterols. It also contains the antioxidants thymoquinone, carvacrol, thymol, p-cymene, anethole, and 4-terpineol. There are a total of 26 fatty acids in black seed oil. Among them, of which roughly 15% consists of 8 saturated fatty acids and 80% of 18 unsaturated fatty acids. The unsaturated FAs include linoleic acid (omega-6). Two significant omega-3s, EPA and DHA, which are usually found in animal products like fatty fish. It also contains a form of omega-3 called eicosatetraenoic acid (ETA), which is rarely found in food at all. Omega-6 and omega-3 are essential fatty acids because the body can’t make them. They are the Predominant Polyunsaturated Fatty Acids (PUFAs) in our diet but we actually don’t need a lot of them. Unfortunately, due to processing, the western diet is full of PUFAs. These fats are fragile. When you consume too many of them, they make the cells fragile. Thus, they become vulnerable to oxidation. The unusual combination of fatty acids in black seed oil is an antidote to oxidation. Along with the thymoquinone, the EPA, DHA, and ETA provide protection from a host of degenerative diseases. These diseases are caused by chronic, low-level inflammation. It is a powerful natural antioxidant. It inhibits the formation of undesirable prostaglandins and free radicals. It is antiinflammatory and has a pain killing effect. It also has a choleretic effect (stimulates the production of bile). It is good for fat metabolism and detoxification. It has a bronchodilating effect, it is protective against asthma attacks. It inhibits the secretion of histamines. It could be a true alternative to cortisone-based therapies for certain allergy sufferers. Thymoquinone helps fight the negative effects. Like bad diet, alcohol, pharmaceutical drugs, and environmental pollution. All these generate free radicals. Black seed oil is comparable to Borage and Primrose oil as it contains high essential fatty acid. Both omega-3 and omega-6 are precursor molecules necessary for the production of prostaglandin E1. E1 is an essential hormone-like substance that is one of the chemical regulators involved in inflammation, immune function and many other biological processes. Prostaglandin E1 is vital for regulating and harmonizing the immune system. It calms an overactive one (allergies, asthma) and strengthens a weak one so that it can tackle infections and chronic illnesses. It increases peripheral blood flow. It helps with bronchodilation and has many other protective functions within the body. Black seed oil is thus edible medicine, providing the body with the principal building blocks it needs to stay healthy. The thymoquinone further supports the anti-inflammatory, bronchodilatory, and secretagogic effects of prostaglandin E1. Bronchodilatory, it has an antispasmodic and warming effect. So it is good for respiratory disorders such as asthma and whooping cough. Research has also confirmed it has anti-histaminic qualities comparable to thymoquinone. Used as a laxative and for destroying parasites, it has strong cleaning properties. 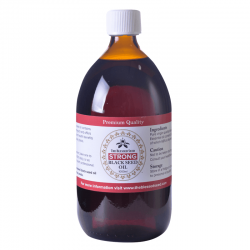 It is suitable for treating parasites in infants whereas most other herbal remedies would be too extreme. For example, wormwood, a common herbal treatment, is effective but unsuitable for the sensitives. Promotes the absorption of nutrients from food. Stimulates appetite, aids, digestion, promotes intestinal cleansing and facilitates bowel movements. It increases secretion and is considered mucolytic and expectorant, providing liquefaction of bronchial secretions and quick removal of bronchial mucous. Known for lowering cholesterol levels (by balancing LDL cholesterol) and for its anti-tumor and anti-carcinogenic activity. The body needs it to use oxygen and for the metabolism of amino acids, fatty acids, and carbohydrates. It is one of the B complexes. It plays an significant role in helping the body convert carbohydrates and fat into energy. It is required for normal growth and development. It helps to maintain proper functioning of the heart, nervous, and digestive systems. Another B complex, essential for the breakdown of fats and protein. It maintains muscle tone along the digestive tract. It promotes the health of the nervous system, skin, hair, eyes, mouth, and liver. Selenium, an essential trace mineral, is antioxidant, antiviral, and anti-bacterial. It reduces risks of cancer, prevents blood clots, and inhibit chromosome damage. It is also said to counteract toxins and heavy metals. People with higher selenium blood level have less mortality from cancer. B-Carotene is converted by the liver into vitamin A, a vitamin known for its anti-cancer activity. Arginine, or L-arginine, a semi-essential amino acid, is required for many metabolic processes. It boosts the immune system, improves blood flow and reduces erectile dysfunction. It also stimulates the release of growth hormone and insulin. Make up the protein content of the black seed, including all nine essential amino acids. Essential amino acids cannot be synthesized within our body in enough quantities. Thus, it is required from our diet. The benefits also come from a source of calcium, iron, sodium, and potassium. These elements’ main functions are to act as essential co-factors in various enzyme functions. Analgesic: Relieves or reduces pain. Anthelmintic:(also known as vermicide or vermifuge) Destroys and expels intestinal worms. Anti-bacterial: Destroys or inhibits the growth of destructive bacteria. Anti-ulcer: Helps replenish mucus content in the stomach wall. Leukotriene Antagonist: anti-inflammatory bronchoconstriction preventors. Antioxidant: Prevents or delays the damaging oxidization of the body’s cells. It is particularly useful against free radicals. Anti-spasmodic: Prevents or eases muscle spasms and cramps. Antifungal: Thymoquinone is a highly effective photochemical against molds and fungi. Antiviral: Enhances the activity of natural killer cells, and helper and suppressor T cells. Antimicrobial: Inhibits both gram-positive and gram-negative bacteria. Carminative: Stimulates digestion and induces the expulsion of gas from the stomach and the intestines. Interferon Inducer: Stimulates the production of interferons. They are released when the body encounters pathogens like tumor cells, viruses, bacteria, and parasites. Spasmolytic: Relieves smooth muscle spasms. Diaphoretic: Induces perspiration during fever to cool and stimulate the release of toxins. Diuretic: Increases urine production and excretion of water. Helps clean the body’s fluids. Emmenagogue: Stimulates bile and aids in the digestive process. Galactagogue: Stimulates the action of milk in new mothers. Anti-hypertensive/Hypotensive: Reduces excess blood pressure. 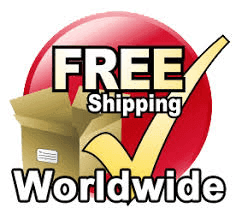 Immunomodulator: Helps to restore normal immune function from either underactive or overactive. Lymphatic decongestant: Decongests the lymphatic system, therefore unburdens and improves the immune system. Hypoglycemic: Contributes to improved blood sugar control. HOW IS BLACK SEED OIL BENEFICIAL? 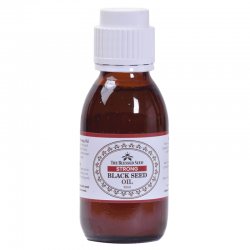 Black seed extract (known as Nigella sativa oil, kalonji oil, black cumin seed oil) is a true panacea. It is the closest you can get to a universal remedy. It helps with the bones, skins, and hair. It also helps with the mood, sleeps quality lymphatic and immune systems, circulation. Other than that is helps imrpove the lung functions, digestion, kidneys and liver health and the heart health. Not only does it help prevent the disease from taking hold but it helps you fight and you may already have. In other words, it is both prophylactic and curative. It is effective in combating old diseases like the flu and also modern complex ones like MSRA, metabolic disease and cancer. How can this be? If you compare with Allopathic medicine, this all seems far-fetched because drugs very seldom have more than one target. If you have pneumonia, you will get one drug but if you have malaria, diabetes, heart disease, Parkinson’s or arthritis, you will get a specific drug or drugs for each condition. There are no cure-all in modern medicine, yet. Despite the specificity of the treatments, there are always side effects. Black seed oil is exquisitely different and multi-talented, without toxic side effects. Nobody knows why it works on so many different levels but there are clues. It effectively addresses inflammation (the common denominator in many disease states). It also supports our own immune systems (you cannot get or stay well without a strong immune system). Even modern science acknowledges its many uses. There are 820 articles on Nigella sativa oil that have been published examining its effects on 185 diseases. Black seed oil is a potent natural healer. 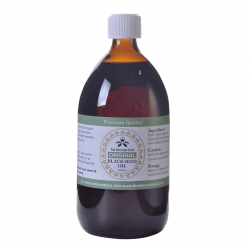 Buy the purest black seed oil and get immune to the above-listed health problems. CAN YOU DRINK BLACK SEED OIL? We can mix the black seed oil in other drinks to make a health tonic. You can also consume it raw (not more than 2-3 teaspoons a day) or mixed with honey or yogurt. We can also apply the oil for skin wounds, infections, and inflammatory conditions. For respiratory infection relief, we can also use it as a chest rub. You can even use it for steam inhalation. You can add a small amount of black seed oil in a bowl of boiled water and breathing in the vapor. 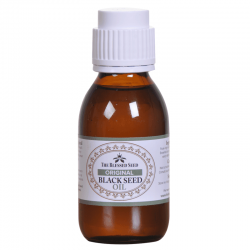 The most significant health benefit of black seed oil is to support the immune system. Even though it is known as a cure-all, it doesn’t really cure anything. It enables the body to cure itself by being able to operate its own immune system effectively. It helps if theimmune system is under-active like frequent colds and infections. It also helps when its overactive as in autoimmune diseases and allergies. Ihas powerful anti-inflammatory properties that sustain health at the deepest levels. A healthy immune system helps you to fight cancer cell, obesity, diabetes, arthritis. It helps in almost any other chronic condition you care to name. Diabetes mellitus is one of the leading causes of morbidity and mortality worldwide. Finding an effective treatment is critical because diabetes impairs many organ systems. The WHO estimates more than 376 million people will be diabetic by 2030. About two billion will be at risk of developing the disease. This would be because of their diet, obesity, and lack of exercise. Lifestyle and food choices help prevent 30–40% of most diseases. Concentrating on a healthy diet, good quality sleep and exercise are all essential. Adding a functional food like black seed oil can help Diabetics in many ways. It will immediately improve their micronutrient levels. It will also provide the anti-inflammatory and immune boosting support they need. Modern drugs only target increasing insulin or reducing blood sugar. Whereas, black seed oil supports the entire body. Metformin is one of the safest and commonly prescribed drugs for diabetes. But, it still does not treat the underlying cause of the disease. Also, it causes side effects like heartburn, bloating, muscle pain, indigestion, and diarrhea. Black seed oil either treats or prevents all these side effects. It also found to be as effective as metformin in improving glucose tolerance. This is an significant news for the millions of diabetics around the globe. The lymphatic system is the garbage disposal system of the cells. It helps to clear the damaged Cells. Along with it also clears toxins, bacteria, viruses and metabolic wastes. It is also responsible for delivering nutrients to cells. It maintains the fluid balance in the body. It is a crucial part of the immune system. When it gets overwhelmed, the garbage backs up. This leads to edema, swelling, inflammation, fatigue. Sometimes aches, pains in joints and muscles, infections, arthritis and possibly cancer. Taking black seed oil supercharges the lymph system. Its anti-inflammatory, antioxidant and antimicrobial properties help to do so. This lightens the load of the lymph and allows it to better perform. One of the many duties is that it contributes to keeping us healthy and resisting disease. An efficient lymphatic system nourishes every cell in every organ of the body. So you can see, yet again, how the influence of the fabulous blessed seed oil reaches to every corner of your system. No home should be without black seed oil. It can help to prevent a myriad of diseases if you take it daily. It is the first aid, it can calm every burn, sting, bump and bruise, as well as helping improve skin condition and provides pain relief. It also helps lose weight, improves the liver health, reduces inflammation. Its a true herbal medicine for almost all cures. See what black seed oil for skin does for you! Please note that it is not suitable during pregnancy.